Nutter The Cat thinks his home-cooked cat meatloaf is the best cat food out there. He devours this moist, grain-free cat food that I lovingly make in my own kitchen with the best meats and organic fruits and vegetables. All of the healthy meats used are antibiotic-free, hormone-free, or organic. 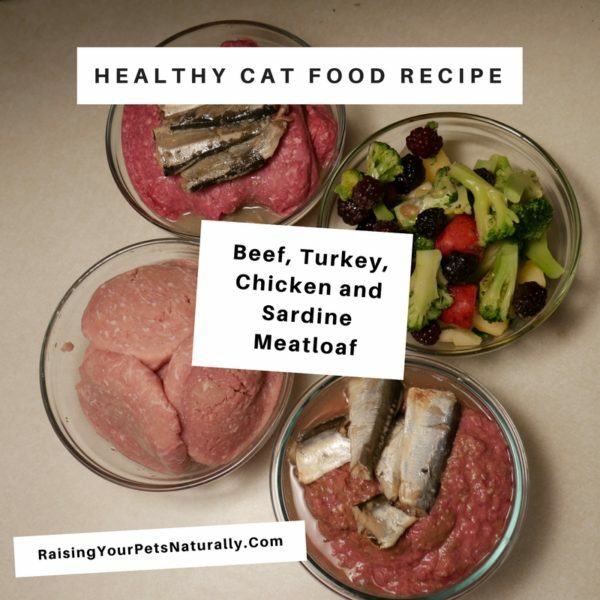 If you are looking for the best cat food for an indoor cat, you just might want to try this healthy cat food recipe. To complete your cat’s healthy cat food, add Feline Minerals and Feline Digestive Enzymes at the time of feeding. 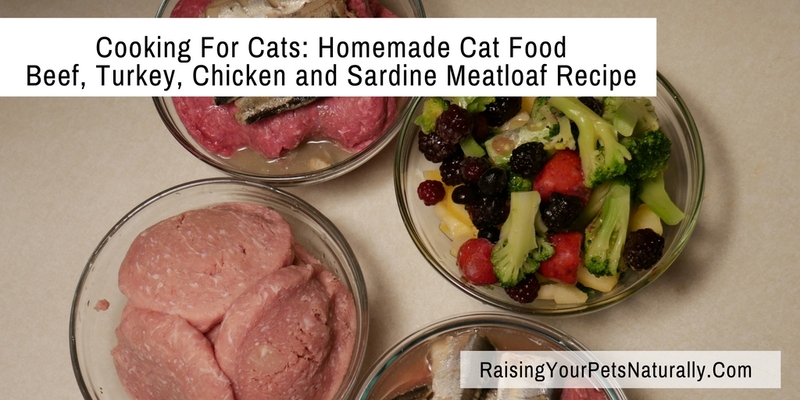 A healthy homemade meal for cats. Using a cheese grater, shred the squash. Puree brocolli, berries, kale, sardines and shredded squash. Place ground meat into a large mixing bowl. 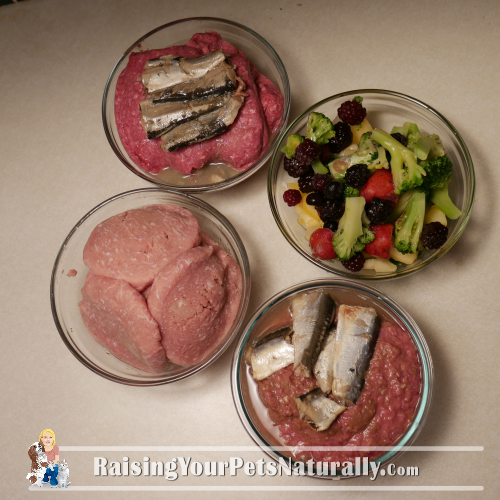 Add the pureed veggie and fruit mixture to the meat mixture and mix well to incorporate. 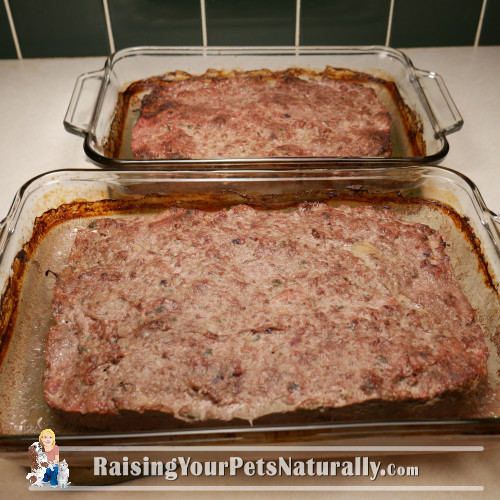 Put the food mixture into glass or ceramic loaf pans or muffin pans, and bake for 60 minutes. 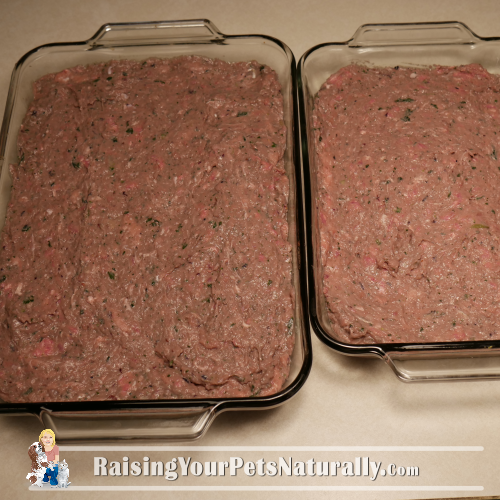 Divide the recipe into approximately 17 individual 5 oz portions (with the juices) and freeze. Remove 2 days at a time and place in your refrigerator. I prefer to feed pets 3 times a day. When feeding your cat his meal, allow his food to reach room temperature and place 1/3 of his supplements into each meal. Do you home cook for your cat or dog? Tell me in the comments. Can this also be fed to dogs? Yes, but they would need a different mineral supplement.